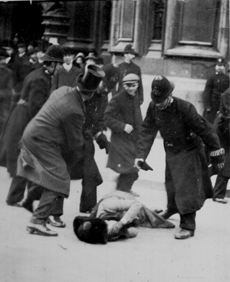 "...the jigsaw of an extraordinary life..."
Sylvia Pankhurst was an extraordinary woman. She was a great writer, editing 4 newspapers, writing 22 books and countless articles on topics such as the history of women's suffrage, the Russian Revolution and the growth of socialism. This project documents all of these issues and more. Part 1 covers her correspondence; over 70 manuscript notebooks; literary manuscripts; and minute books and records of the East London Federation of Suffragettes (ELFS).